Ten teams participated in this year’s Fall Team Championships. With the average rating of each team limited to a maximum of 1800, there were many competitive teams in the 1700-1800 range. However, in a testament to the competitiveness of this event, as early as round one, two of the favorites drew their matches. This opened up opportunities for some of the lower rated teams to make a serious push for first place. 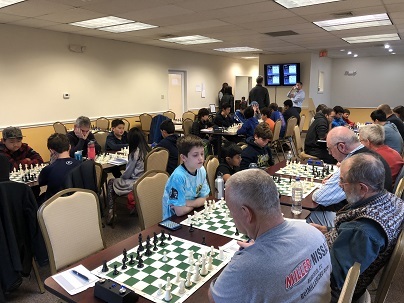 Team “Westchester Chess Club”, led by expert Daniel Cooper, were the only team with a perfect score after two rounds. They continued with a third round win and looked destined to cruise to victory. With only one team, “Team 1”, within striking distance going into the fourth and final round, “WCC” only needed to draw their final round match to clinch sole first place. However, “Team 1” were determined to defeat their higher rated opponents. Things started off well for “WCC” with draws on boards 1, 3 and 4, which meant that everything came down to board two. 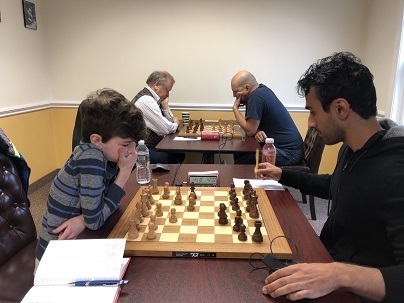 Fortunately for “Team 1”, their board two, Shray Kapoor was having an outstanding tournament, and had built up a large space advantage. 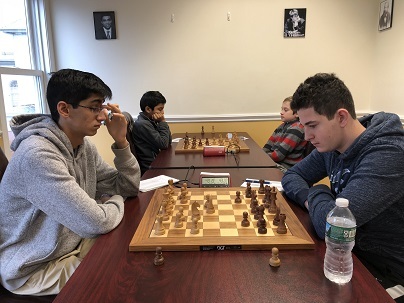 Despite a heroic defense by his opponent, Cayden Yang, Kapoor managed to crash through his defenses to win the game. 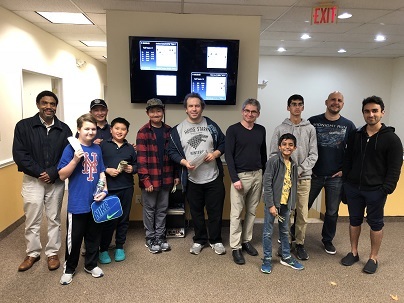 Therefore, “Team 1” leapfrogged over “Westchester Chess Club” to take clear first place with 3.5/4 match points earning $300 for their efforts. “WCC” took second with 3/4 and walked away with $200. Having reached the ten team threshold, an additional prize was added for the top team U1600. That team would receive $120. Impressively, “Team 1” had started in the bottom half of the event and would have received the top U1600 prize had they not finished in clear first. Therefore, the prize for top U1600 went to “Varsity Dream Team B” who defeated “Varsity Dream Team A” by a decisive 3-1 score in another crucial final round match. Thank you to everyone that made it out for yet another great team event and congratulations to all of our deserving winners!